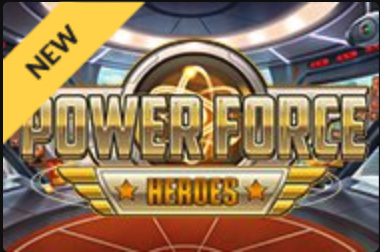 If you’re looking for a large collection of the most popular slot games, table games and live dealer games from all the best software developers under the one virtual roof, Guts.com has you covered. Despite being a relatively young venue, Guts has a well-deserved reputation within the online gaming industry, attracting many players with its extensive game selection, user-friendly layout and exciting bonus offers. Guts is highly regulated by some of the leading online gambling jurisdiction, providing a safe place for players from selected countries to play real money games in a range of currencies. What kind of player is Guts.com for? Guts is user-friendly, vibrant online casino that offers games from an impressive selection of the world’s best online game studios. This casino is most suited to players who want to have access to an extensive range of games from multiple software developers, with games optimised for desktop and mobile, and new titles and bonus offers added regularly. Guts accepts players from a range of countries, including Australia, New Zealand, Canada, United Kingdom, Ireland, Malta, Kenya, Switzerland, Norway, Germany, Austria, Kenya and Bangladesh. If you’re not sure if Guts will accept players from your country, please note the casino tables on our website have been geo-targeted to recognise your location and only recommend casino sites that accept players from your country. Referring to these tables will give you a good indication about which casino sites cater to your region. Guts does not accept players from the following countries: United States of America (and its dependencies, military bases and territories including but not limited to American Samoa, Cyprus, Guam, Marshall Islands, Northern Mariana Islands, Puerto Rico, and Virgin Islands), Afghanistan, Algeria, Belgium, Bouvet Island, British Indian Ocean Territory, Bulgaria, Comoros, Czech Republic, Denmark, Ecuador, Estonia, Ethiopia, France, Greenland, Guam, Holy See (Vatican City State), Hong Kong, Hungary, India, Indonesia, Iran, Iraq, Ireland (sports betting prohibited), Israel, Italy, Jordan, Democratic People’s Republic of Korea, Kuwait, Libya, Malaysia, Montenegro, Myanmar, New Caledonia, Nigeria, Pakistan, State of Palestine, Philippines, Portugal, Romania, Singapore, Somalia, South Africa, South Georgia and the South Sandwich Islands, South Sudan, Spain, Sudan, Syria, The Faroe Islands, Turkey, Western Sahara, Yemen. £300 Welcome Bonus – New players at Guts can claim up to £300 in matched deposit welcome bonuses and 100 free spins on selected slot games when signing up for a real money account and depositing cash for the first time. Just enter the current bonus code (which can be found in the promos tab at Guts.com) when making your first deposit to receive your 100% matched deposit. You will then receive 10 free spins each day for the first 10 days of membership. Double Deal Monday – Make a cash deposit on a Monday, enter the promo code ‘DOUBLE’ and Guts will match your deposit by 40% up to £40 and credit your account with 15 extra spins to use on Tuesday. A great way to give a boost to your week. Thursday Triple – Deposit at Guts on a Thursday and you will receive free spins to use on a selected slot game on Friday, Saturday and Sunday. Deposit up to $50 and you’ll get 10 free spins each day, or deposit over $50 and you will get 20 free spins each day. Live Casino Cashback – Play any of the Evolution Gaming live dealer games at Guts over the weekend, and you will receive 10% cashback on your losses deposited to your account on Monday. One-off promos – If you’re looking for an online casino that keeps the promos coming, Guts has you covered, with new one-off bonus offers and fun promotions happening all the time. Promos can range from anything like bonus loyalty points or leader-board tournaments for trying the latest slot games, to festive competitions to celebrate everything from Christmas to Valentine’s Day. We’ve seen Guts offer everything from trivia games to live dealer specials, with prizes that have included cash, casino credits and real world prizes like iPhones, iPads and holidays. Note: all bonus offers at Guts Casino come with a standard wagering requirement of at least 35X the size of your bonus. Bonuses are not available to players from Albania, Azerbaijan, Belarus, Bosnia and Herzegovina, Croatia, Georgia, Romania, Ukraine, Russia, Serbia, Slovakia, Latvia, Lithuania, or Thailand and will not apply to deposits made using Neteller, Skrill or Paysafecard. Always check the terms and conditions of each promotional offer to make sure you know what is required of you before taking advantage of a bonus. Guts has put a creative and fun spin on its loyalty program, known as the Guts Loyalty Squad, which is their version of a VIP rewards program. Membership to the Squad is by invitation only, with the Guts team on the lookout for the most dedicated players who spend the most time and/or money playing at the site. If you demonstrate your loyalty by frequent visits, regular deposits and ongoing play sessions, one of the VIP team may reach out to ask you to join. If you believe you are worthy of Squad status, or you have already proven your VIP worth at another online casino, you can plead your case to squad@guts.com. Guts Loyalty Squad members receive benefits like priority payouts, anniversary bonuses, a personal squad manager, personalised gifts, birthday bonuses and invitations to exclusive events like concerts, holidays and sporting events. Guts uses an instant-play interface, which means all games are available to play directly over your Web browser with no downloads required. The site is compatible with Safari, Chrome, Firefox, Explorer, Edge and all other major Web browsers, so you should have no trouble accessing Guts.com whether you’re playing from a PC, Mac, iPhone, Android, Windows Phone or any other Internet enabled platform. The interface is incredibly user-friendly and easy to navigate, making Guts suited to online newbies as well as seasoned players. This ample game selection includes some of the most popular table game variants like European Roulette, American Roulette, French Roulette, Atlantic City Blackjack, Classic Blackjack, Multi-hand Blackjack and Net Entertainment’s exquisite Blackjack Pro, Pontoon Pro, Baccarat Pro and Punto Banco Pro Series. You’ll also find more obscure game variants like Pirate 21, Super 7 Blackjack, Red Dog and Triple Chance Hi/Lo, along with a decent selection of casual and niche games like scratch cards, bingo and keno. 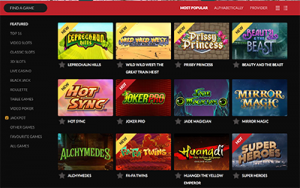 The slot game selection is where Guts really shines, offering all the most popular titles from all our favourite game studios split into easy to navigate sub-categories. Along with all the big name Microgaming and NetEnt titles, this is one of the best casinos on the Web to experience the full range of BetSoft 3D slot games. New slot games are added regularly at Guts.com, for both desktop and mobile, with new promos often available to celebrate the launch of new titles. Guts is licensed by the Malta Gaming Authority (MGA), one of the most tightly controlled gaming regulatory jurisdictions in the world, with additional licensing from the UK Gambling Commission and Curacao eGaming. All gaming software is RNG certified and all personal information protected by 128 Bit SSL (Secure Socket Layer) digital encryption security. Put simply, Guts ticks all the right boxes when it comes to licensing and regulation and you can rest assured this is a safe site that undergoes regular auditing. The deposit and withdrawal options available at Guts vary depending on which country you’re playing from, and to see which payment options are available to you, you need to sign up and log in to head to the deposit section. Commonly accepted deposit options include Visa, MasterCard, Neteller, Skrill, Paysafecard, EUTeller and direct bank deposits. Most payment methods come with a minimum deposit of £20 and a maximum of £5,000, although higher limits can be negotiated for high rollers. Several currency options are available, but note that only players from the United Kingdom are permitted to open an account using GBP. All other players must register an account in their local currency if it’s available, or USD. 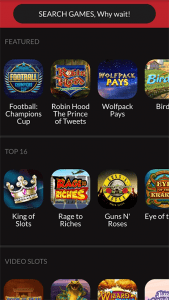 The list of deposit options isn’t as extensive as some other leading casino sites. Region restrictions apply to players from many countries where online gambling is popular, so many players will be disappointed to find they aren’t accepted here. The Guts Loyalty Squad is a fun approach to the stale and uncreative loyalty reward programs offered by most online casinos. New promotional offers and bonuses are always on rotation. The site is vibrant, user-friendly and offers a collection of the best games from all the leading software providers. Live chat is always on offer if you need customer assistance. Sign up for an account at Guts Casino to take advantage of up to £300 in welcome bonuses plus get 100 free spins to use on one of the hottest new online slot games.